Former President of the Senate, Senator David Mark has taken stock of the unfolding sectional agitation calling for a break up of Nigeria and reminded promoters of the divisive agenda of the consequences of a fragmented nation. A worried Mark cautioned the agitators of a possible break up of Nigeria to think otherwise "because the trend today is that nations are coming together and bridging gaps of differences for mutual cooperation under a new world order of globalization for a better society. Nigeria is part of the global community ". Senator Mark in a goodwill message to Nigerians marking this year's Eid- el - Fitr celebration urged Muslim faithful to imbibe the lessons of the Holy month of Ramadan and continue to pray for peace, unity and stability of Nigeria. He cautioned those stirring up the embers of disunity, anarchy and confusion to desist from doing so and concentrate their efforts toward building a more stable, prosperous and united Nigeria stressing that “we have more to gain staying together than falling apart”. 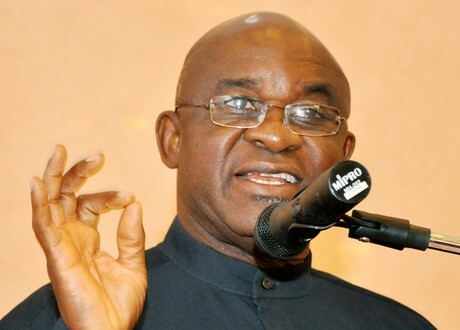 Senator Mark warned that the consequences of another civil war for the country will be devastating and catastrophic not only for Nigeria but for the entire African Continent. He acknowledged that there may be shortcomings in our system but expressed optimism that they can be addressed amicably through all legitimate channels without resorting to the extreme. Senator Mark appealed to all our religious, traditional and political leaders across the country to restrain their followers and youths from making inflammatory statements capable of plunging the country into chaos. Nigeria he added, has had her fair share of ethno-religious conflicts as well as the ill-fated 30 months old fratricidal civil war in which the nation lost over three million of her productive citizens not to mention the countless number of properties destroyed. According to Mark: " We should have learnt bitter lessons from that war. Another war is needless. We cannot survive another. We can resolve all grievances under a round table conference in a manner of give and take and mutual respect. "What we require as a people is an egalitarian society where Justice, equity and rule of law prevails. A nation where everyone is free to pursue his or her legitimate ambition in any part of the country without fear of molestation or intimidation". He prayed that wise counsel prevails between and among Nigerians irrespective of religion or tribal sentiments.